Home > Fitness/Health > Juice Cleanse for a healthier YOU! Juice Cleanse for a healthier YOU! Easier said than done for some right?! The relationship one can have with unhealthy food is powerful. Canada ranks 35 on the list of fattest countries according to Forbes, and the scary part is children obesity continues to increase. It is essential to break the cycle of families who have grown to be dependent on saturated fats, refined carbohydrates, processed foods and excess alcohol and caffeine. Research has shown that we can not only be HEALTHIER, but actually REVERSE some severe chronic disease by changing our diets. 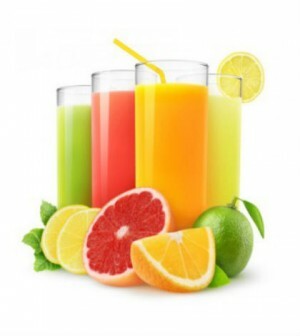 One of the best ways to help get your internal system to its best is by doing a juice cleanse. When you eliminate toxins from your system your body reacts internally and externally allowing you to feel better. It is very important to know that keeping it organic is key! Otherwise you are ingesting many of the same pesticide, antibiotic and herbicide residues that you’re trying to clear out in the first place. Three years ago one of my clients had asked me how I felt about a “juice cleanse” and because I had never done one I thought I would go on a mission to see what the buzz was all about and furthermore explain whether I thought it was helpful or dreadful. 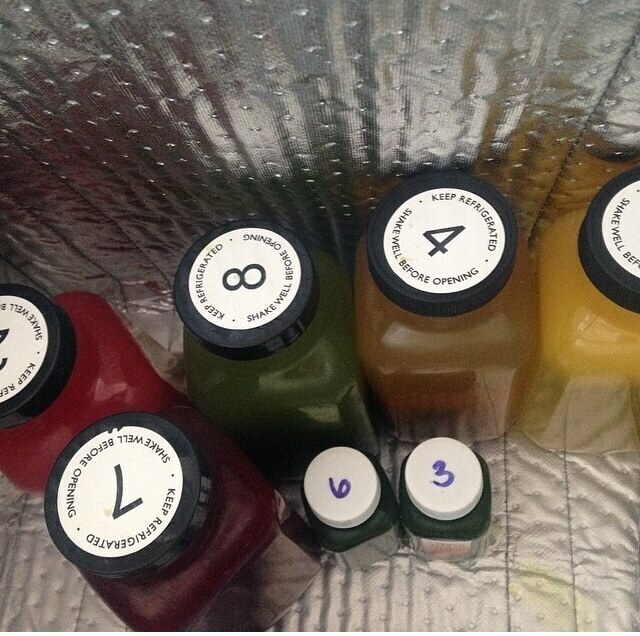 So I went to a locale “Juice bar” and signed up for a 3 day juice cleanse. The only questions I was asked was what day I would like to pick it up, would you like a 3 day or a 5 day cleanse and how would I to pay. 2 days later, I received a call that my juices were ready. I was extremely excited to begin a new challenge. Well, when I got there I received 4 juices for each day and 2 wheat grass shoots all in a plastic cup, something that was just not appealing. I completed the first day with no problem but by the second day when I reached in my fridge to start day 2 the juice just looked bad. I decided I would end it early and just tell my client NOT TO DO IT!!! That night I thought to myself how could a company make so much money, fool so many clients on a product that they feel would suit everybody, without any knowledge about their lifestyle, health history etc. That was what had turned me off from juice cleansing. Until about a week ago my next written assignment was to be about JUICE CLEANSES. I had my opinion already and was ready to write about it until I decided to do a little more research and rebuild my opinion on this topic. I received an opportunity to work with a Canadian company called RawJuice Guru. It was the same concept of my previous one, which was to do a 3 day cleanse and provide feedback on my experience. I thought this would be the perfect opportunity to combine both my writing assignment & giving juice cleansing another chance. One of the team members from The RawJuice Guru reached out to me and emailed me a questionnaire regarding everything from my stool activity to the my actual activity level. I was already impressed. Furthermore, I was asked what time I left to start my day so that they could ensure that my fresh juices would be at my door before I left. After a few email communications I was set to start the cleanse on Tuesday. Tuesday came and at 5:30am as requested I opened my door to find my personalized juices for the day, thats right FRESH, PERSONALIZED and right to my door-step. This happened for the next 3 days. Fast forwarding to the final day of my cleanse, I no longer had the headache from the first day, I felt renewed, refreshed and even eliminated my 3 cups of coffee cravings a day. The additional benefits was that I was able to rid some bloating I was experiencing prior to the cleanse. I experienced fullness and full flavours due to the fact that the juices were not made from concentrate and never diluted. Embarking on this 3 day cleanse I can now speak on the experience of detoxifying my body the right way. I already ate very clean, getting my meals in at least 5-6 times a day, I had limited my alcohol intake so I wasn’t on a mission to lose weight, but more for it’s claim to heal, nourish and regenerate my body. Keep in mind everyone has a different reaction in regards to everything from exercise to juice cleanses, however, I was so impressed that I have done nothing but continue to educate my clients on the benefits of juice cleansing. If time is an issue or you have never done a cleanse going to a professional is always my first suggestion. What really made me a strong believer in using RawJuice Guru is the fact that they use all certified organic produce which are GMO free for both their raw food and raw green juice service. Their products are customized and tailored to each individual based on their health, ailments and goals so it is never a cookie cutter program for the same person. “A guru doesn’t tell you what to believe, he simply reminds you how to believe.” RawJuice Guru did just that; they reminded me to believe and to keep an open mind to the different ways I can change and reset my body from the toxins we absorb everyday. I have found my calling and that is to juice cleanse. Please visit www.rawjuiceguru.com for more information. 1. REPAIR OUR BROKEN GUT: from taking medications to toxic foods including but not limited to saturated fats, refined carbs, foods with additives and pesticides to stress we can do a number on our intenstines. One of the well known terms “leaky gut” is an actual break in the intestional barrier, which allows substances into our bodies that should not get a free pass. Consuming a plant-based juice cleanse allows food to be assimilated through the intestine–consuming less energy, while toxin-free, nutrient dense foods helps repair your gut. 2. IMPROVE ENERGY: Right after the first day’s adjustment period (mostly missing the caffeine and/or the crunching), most people begin to feel much more energy and clarity. 3. HEAL OUR CELLS: By switching to an organic plant-based lifestyle it allows cells to work optimally to re-establish efficient internal messaging and manufacturing processes. The mitochondria (also known as cellular power plants) creates energy without having to fight off free radicals and inflammation, and reducing some of the impediments to proper DNA functioning. 4. NOURISH OUR BODY: Feeding our bodies with an all-produce diet gives us not only the vitamins and minerals but the all-important phytonutrients that are powerhouses for the clean-up and healing process. Juice cleanses are made from raw foods — and retain nutrients that would be destroyed by cooking, including some B vitamins and especially (digestive and anti-inflammatory) enzymes. 5. REHYDRATE OUR BODY: The majority of us are dehydrated, and often consume diuretics such as coffee or tea as a main beverages. Drinking sufficient fluids makes the body function more efficiently, increases energy (often successfully removing the afternoon blahs/brain fog), and helps insure proper elimination of toxins. 6. ELIMINATE HARMFUL FOODS & MAY HELP IDENTIFY FOOD ALLERGIES: While on a juice cleanse you are eliminating dairy, wheat, gluten and fermented foods from your diet (as well as coffee and alcohol). Once completed and food is reintroduced you begin to identify the foods that you may actually be allergic too. 7. MAY AID IN WEIGHT LOSS: Some experience weight loss after a minimum of 3 days cleansing. It helps eliminate water weight consisting of toxins and junk. how to do a juice cleanseJuice cleanseRawJuiceGuruToronto juice cleansewhat is a juice cleanseWhy a juice cleanse? You've found the finest beard growth oil for men.